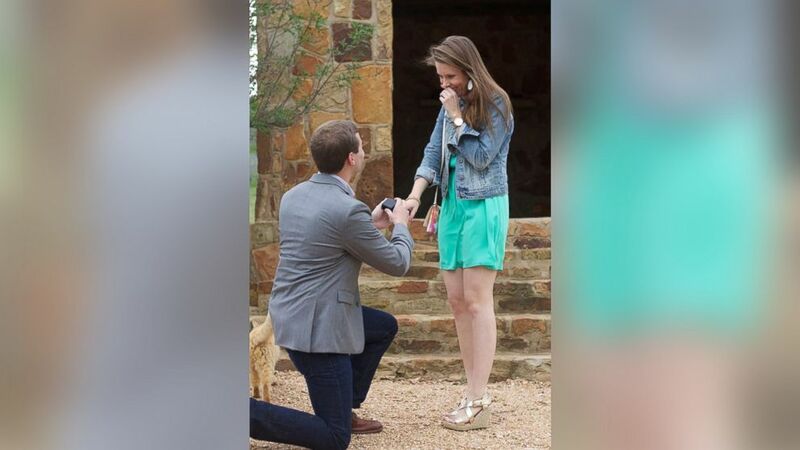 Hudson Hoyle worked as an Uber driver to save for an engagement ring. 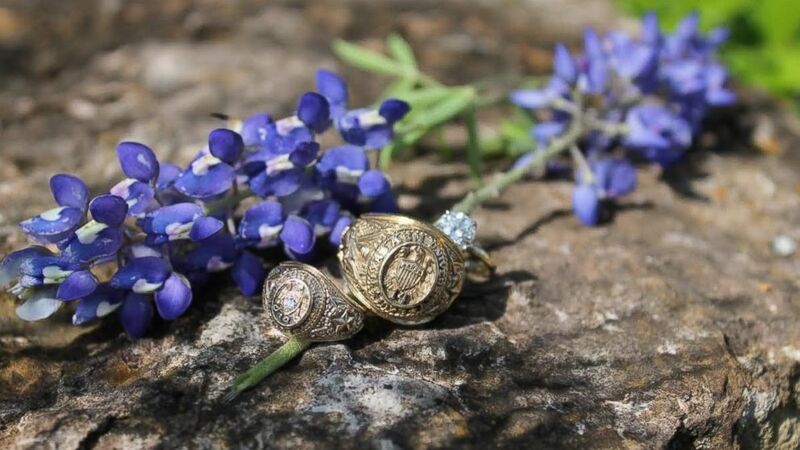 Katelyn Kainer, 23, and Hudson Hoyle, 22, met at Texas A&M University their senior year. The couple is based in Houston, where Hoyle is a business consultant and Kainer works as a sales manager at Macy's. But as a recent grad, Hoyle expected it might take him awhile to save enough money to buy Kainer an engagement ring. So, he said, he turned to a secret, second job as an Uber driver to speed up the process. (Chelsea Renee Photography) Hudson Hoyle proposes to college girlfriend Katelyn Kainer. Hoyle started driving for Uber on his off-time, he said, and along the way he took photos and videos with the people he drove to document his plan. "It ended up being a fun experience to meet strangers from all across the city to help make this possible," he told ABC News today. "All the while, [Kainer] had no idea I was Uber driving. I would do it at odd hours of the day and night to get away with it." Kainer confirmed to ABC News that she was in the dark about Hoyle's plan. "I had no idea," she said. "When he told me he was an Uber driver, that just shocked me. I do work nights and weekends so I kind of understood how he was able to get away with it without me finding out." After four months, Hoyle's Uber money helped him buy an engagement ring. He proposed in April and Kainer said yes. She was "a bit overwhelmed," Hoyle said. "The proposal came a lot quicker than she thought because I was able to save the extra money from the driving." Hoyle brought his new fiance to a surprise engagement party he had planned, where he revealed the video he made documenting his secret Uber-driving life. "It was kind of one surprise after another," he said. "She was very happy." "I was so confused, I thought it was a joke," Kainer said. She said her parents and roommates were already in on the secret. "Everyone knew," she added. "I was oblivious. "It's totally his style," she said. "It doesn't surprise me he did this ... but I was so surprised he could keep that from me so long." 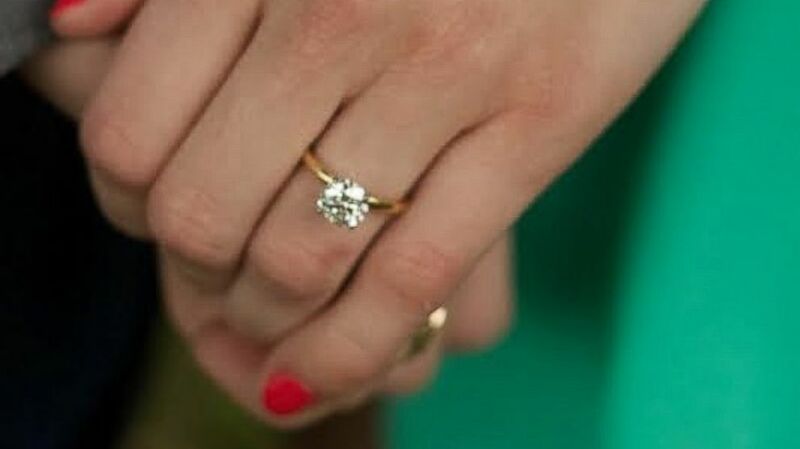 Hoyle said there was no specific amount he hoped to raise, but he "had an idea of what Katelyn wanted in a ring ... so it was just a matter of saving enough between my regular income and Uber to get there." Hoyle said he probably saved a few thousand dollars from Uber driving, but also found his second job fun. 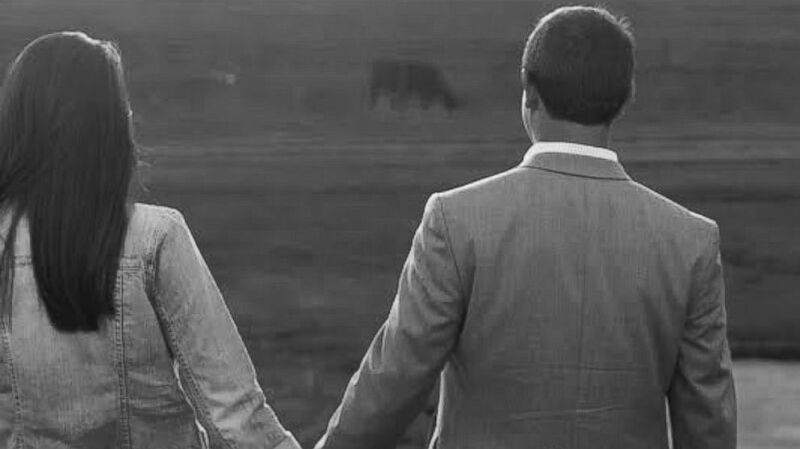 "You get to meet a lot of strangers you wouldn't normally cross paths with," he said. "You have these genuine encounters with people who are interested in why you are driving and what you do in your normal life." A representative for Uber said in a statement to ABC News: "Hudson and Katy's proposal is more than a romantic love story, it's an inspiration to the hundreds of thousands of drivers that turn on the Uber app to earn extra money. We are honored to play a small role in Katy and Hudson's proposal. We wish the happy couple the best of luck in this exciting new journey!" The couple is planning on a spring 2016 wedding in Houston.